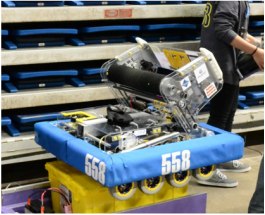 2019 - DESTINATION: DEEP SPACE - "Big Boi"
​2018 - POWER UP - "Snapback"
2017 - STEAMworks - "Hatchet" / "brick2.0"
During the 2017 Season the team's robot went through a massive redesign (AGAIN! 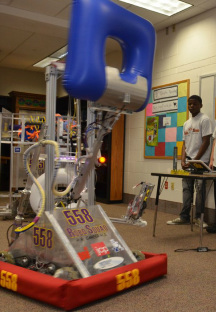 ), resulting in the transformation from "Hatchet" to the robot known as "brick2.0". 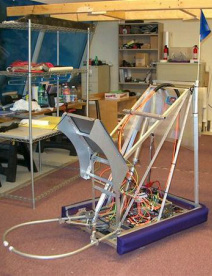 This redesign was made possible through the dedication of the team between our Week 1 and Week 5 events. 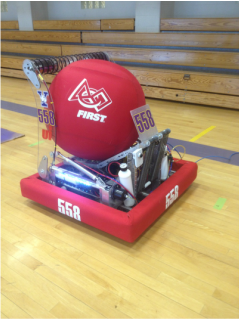 2016 - Stronghold - "Toaster" / "BRICK"
During the 2016 Season the team's robot went through a massive redesign, resulting in the transformation from "Toaster" to the robot known as "Brick". 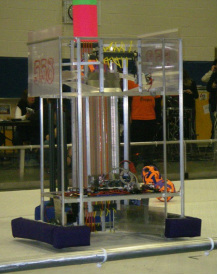 This redesign was made possible through the dedication of the team between our Week 1 and Week 5 events. 2015 - Recycle Rush - "Tote-L Knockout"
2014 - Aerial Assist - "Robot Downey Jr."
NE District Championship - Judges Award "Truss and Destroy"
2013 - Ultimate Assent - "The PEZ Dispenser of doom"
2012 - Rebound Rumble - "The Lampshade of Doom"
2011 - Logomotion - "The Craw"
2010 - Breakaway - "K.I.S.S." 2009 - Lunacy - "The Great Glass Elevator"
- Touch sensors in the front bumpers to know you are "locked on"
2008 - Overdrive - "The Dung Beetle"
2005 - Triple Play - "The Dragon"